The collection, transportation, processing, disposal, and monitoring of wastes are just some of the different processes that make up the whole system of waste management. Simply put, waste management is the umbrella term for the actions necessary to handle rubbish from its first collection to its disposal. It also includes the legal and regulatory frameworks that are used to deal with issues relating to managing wastes. The goal of waste management is to minimise the negative effects of rubbish on the environment and humanity, and find ways to recycle the materials that we throw away through the use of ingenious processes that make and transform their utility. Hence, it is important that we understand just how intricate waste management is, and know how we can contribute to making its process efficient and dynamic. Waste hierarchy demonstrates an order of preference for actions to reduce and manage rubbish. The hierarchy shows the progression of a material through succeeding stages of waste management, and represents the latter part of the life-cycle for each material. This is more commonly known as the 3 R’s: Reuse, Reduce, and Recycle. The aim of the waste hierarchy is to extract the possible practical benefits from products before final disposal and generate the minimum amount of waste. The life-cycle of a product starts with its design. It then undergoes manufacture, distribution, usage, and then goes into the waste hierarchy’s stages of reuse, reduce, recycle, and disposal. The amazing thing about planning a product life-cycle is that every stage has opportunities for policy or manufacturing intervention, re-evaluation of the necessity of the output, and the extension of its practical use. The core idea behind looking at the life-cycle of a product is to optimise the use of the limited resources by avoiding the unnecessary generation of waste. Resource efficiency is the idea that the global economic growth and development in status quo cannot be made sustainable if we continue with the current production and consumption patterns. Right now, we are extracting more and more to produce outputs at the expense of the world’s supply of non-renewable resources. Resource efficiency is basically the reduction of the impact of these goods to the environment, which follows the ideas of waste management and product life-cycle. This process of resource efficiency can address the issue of sustainability that is apparent worldwide. (3) the existence of inadequately managed landfills. Understanding the complexity of waste management is the key to transforming the current landscape of responsible waste management. 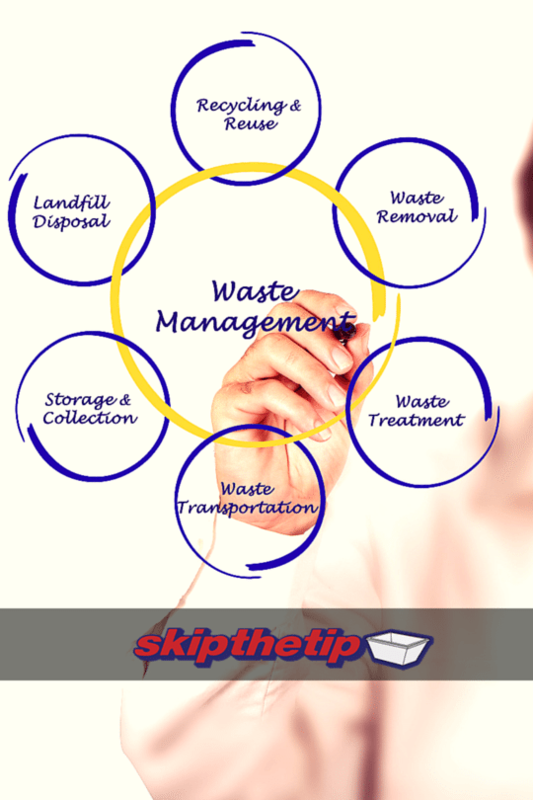 Here at Skip the Tip, we contribute to the heightened efficiency of rubbish removal and management in Newcastle, Lake Macquarie, Port Stephens, Hunter Valley, and Central Coast areas by providing cheap but quality skip bins for hire to ease the burden on the local government. For enquiries, please phone or email our staff for an obligation-free quote.